Hi! Today's post is a dual duty - don't you just love it when you can get two things done at once?!? This card is for my brother-in-law's birthday next week. I had a lot of fun with this card and used a technique that I'm still perfecting - namely masking. I created the background by masking off the large cloud in Close to My Heart's Lifting Spirits stamp set (C1570) to give the background dimension. 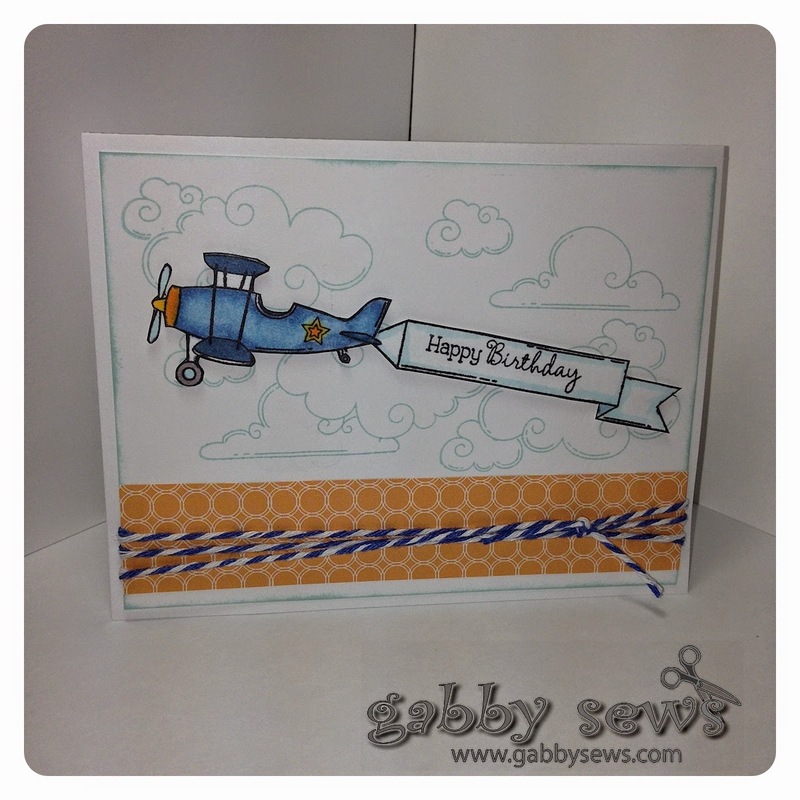 The clouds were stamped on Daisy White CS with CTMH Crystal Blue ink. I stamped the plane and then masked it off before stamping the banner. I used my favorite ink for alcohol marker coloring, Momento Tuxedo Black. The sentiment is from CTMH's Your Own Kind of Wonderful stamp set (D1627). I was so happy it fit in the banner!! The pattern paper at the bottom is from a limited edition paper release from CTMH (Free to Be Me) and is unfortunately no longer available. I'm also linking this card up for the September Our Daily Bread Designs (ODBD) challenge to create your own background.